Nomen est omen: The loopshopper L is made for shopping - reisenthel combined all advantages that a shopping bag should have. The loopshopper L can be carried in hand or over shoulder thanks to its robust aluminium handles. It can hold up to 12 kg. With a capacity of 25 litres in the main compartment, it guarantees a great time while shopping, while two smaller exterior pockets are perfect to keep keys, cell phones and other odds and ends safe. A removable inner bag with three compartments allows you to carry a few must-have accessories after your shopping spree. The tear-resistant and waterproof polyester fabric makes the Reisenthel bag robust and durable. 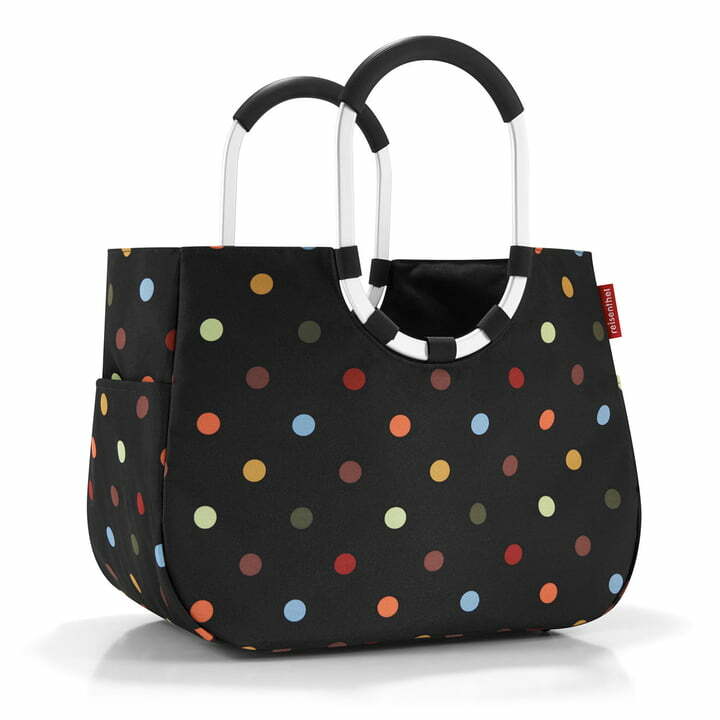 On demand, the Loopshopper L is also available in other colours. The tear-resistant and waterproof polyester fabric makes the Reisenthel bag robust and durable. . Loopshopper L is also available in other colours on demand.